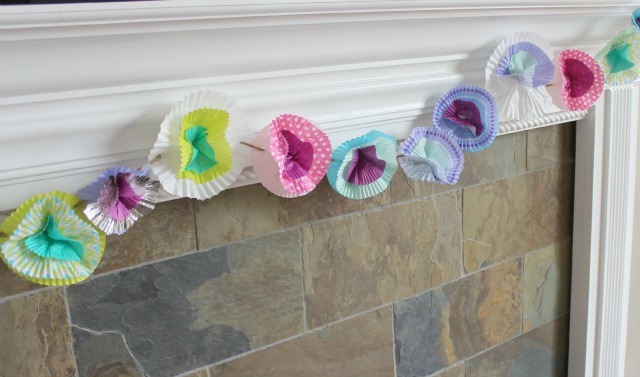 The cupcake liner wreath I shared on Monday, was a result of having lots of cupcake liners left over from this month’s Design Improvised DIY Night! 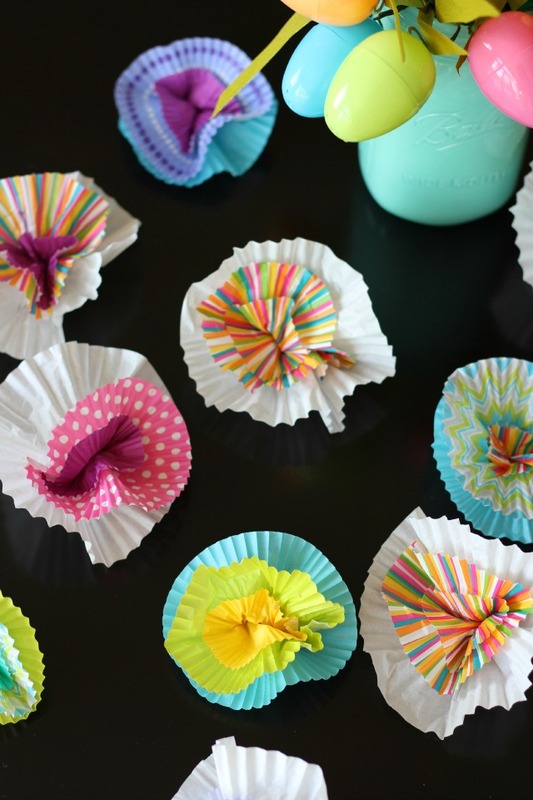 After seeing cupcake liners being used in crafts, I thought it would be fun to buy a variety of bright colors and prints and let people get creative with them! 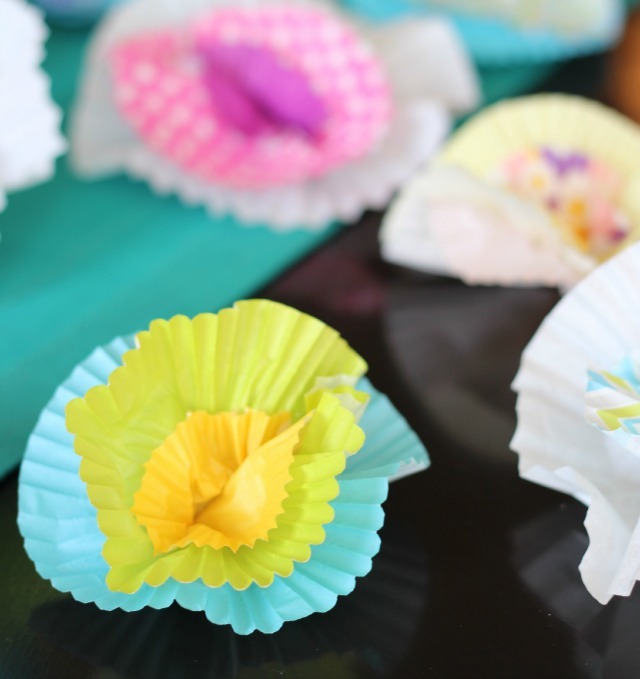 I was particularly inspired by these simple cupcake liner flowers by The Sweetest Occasion and knew they would make for a very doable DIY night craft. After getting our creative juices flowing with some wine and sugar cookies, we we were off and running. 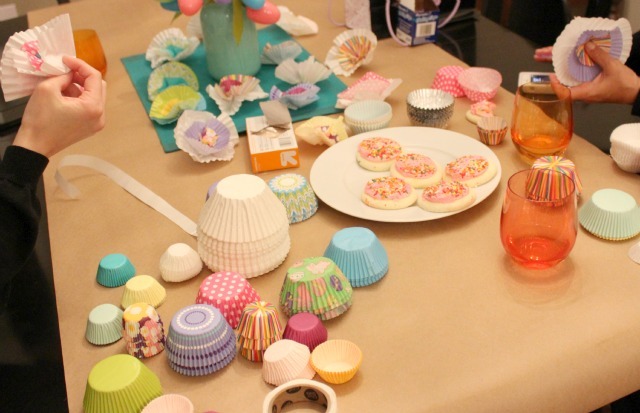 Soon, a rainbow of cupcake liner flowers was covering the table and floor! 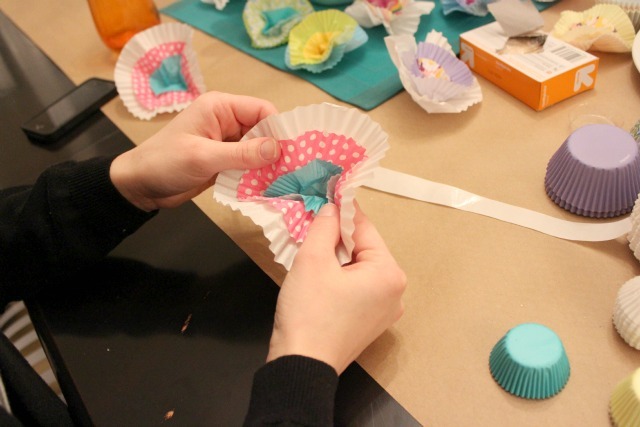 Each person put their cupcake liners to use in a unique way. I love projects like these for DIY Night where each person can put their own personal spin on it. It is always so fun to see how different everyone’s looks at the end of the night! 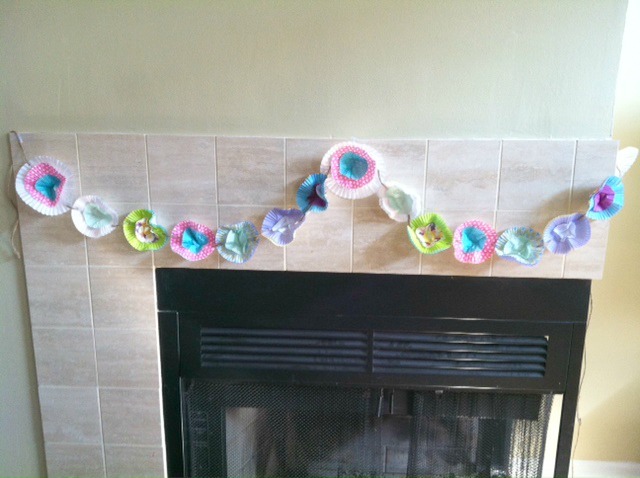 I also made a garland for our mantel. Just looking at it makes me happy! 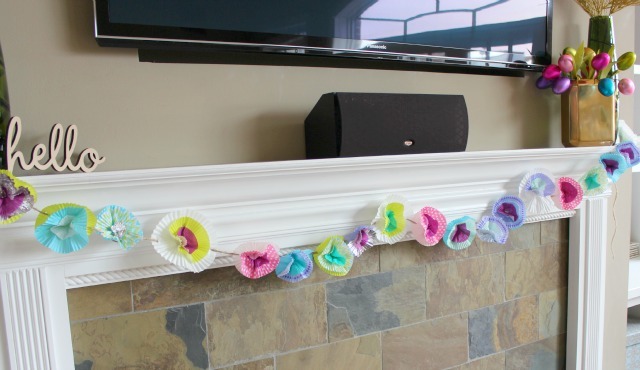 Patti used her flowers to make this super colorful, bohemian looking wreath. I loved it so much, it inspired me to do my own. 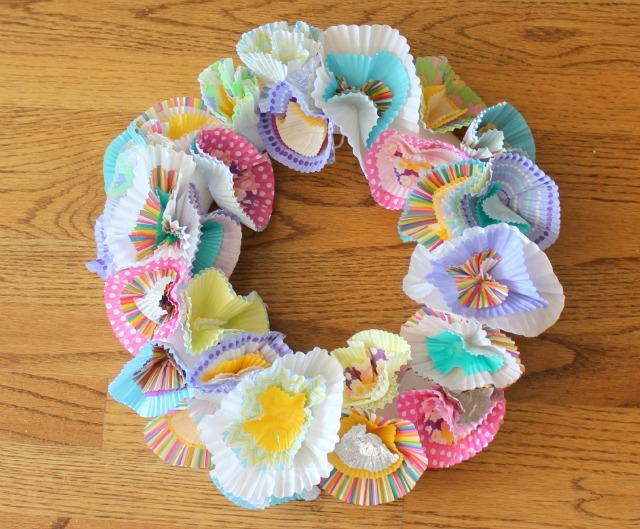 Check out the full tutorial for the wreath. These cupcake flowers would make awesome party decor, whether used as a garland, wreath, or even just scattered around a dessert or drinks table – they would add such a pretty touch! 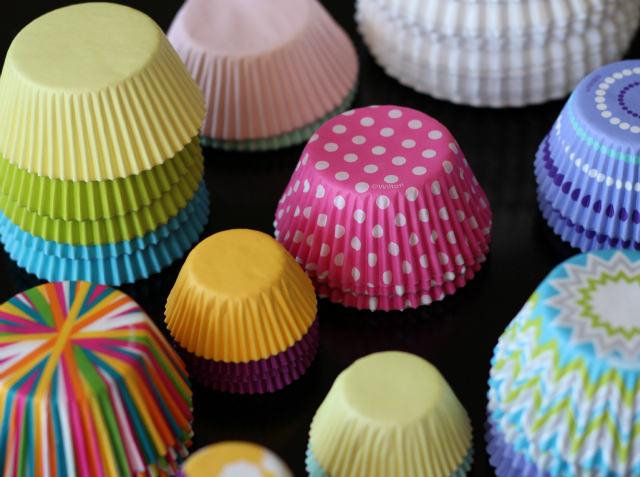 I still have some cupcake liners left over – have you seen any other cool cupcake liner crafts to try?